Mhh.. just asking is that he or she? Dno... it looks like she. no, he must be a she! Is this meaning of [Army of Glory] - Elite Thread ?? it elite? and if it is elite then I don't think you should be told, k? About Bill: He is he, but looks like she. He like being she, coz he is emo and they are bi. Hmm i should write a freestyle about this. Why did the posting stop :O. "All the salt in the world couldn't melt that ice". Question is, who was God? God was god, but now he has transformed to Chuck Norris. According to reliable sources, Chuck Norris was there before God was. ran so fast he travelled through time and roundhousekicked god on the eight day. That's also the reason to the number of days of the week. Chuck Norris jokes are the worst thing to hit the internet. Ever. I disagree. 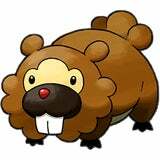 Let me introduce you to Bidoof. Say hi!